With the online retail space more competitive than ever, the significance of a sound pricing structure has only intensified over time. Thanks to today’s technology, customers are constantly inundated with product offers at every turn, and it truly takes a thorough, purposeful approach for any product to capture the attention of its target buyer group. Yet, because of the numerous theories and approaches on the subject of pricing, some businesses may be too overwhelmed with options to know how to begin to sell their products. 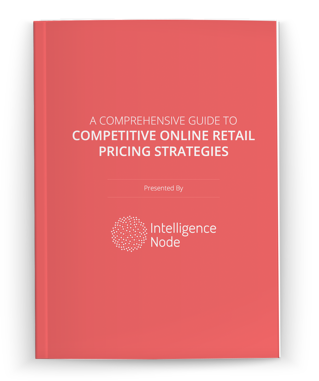 Now our new eBook brings together a comprehensive guide you can use to decide which pricing strategies will help your product grow. With these must-have tips and tricks, your products will be prepared to soar, and you’ll be able to connect with customers who have thus far been beyond your reach. All of these topics and more are covered in this in-depth look at the vital role pricing plays in product success and the many strategies available to help you get your message out to the customers you crave. So are you ready to explore the pricing strategies you can use to take your product to the next level? Don’t waste another moment to equip your business with the tools it needs to grow! Download our free eBook by filling out the form.